River Rd Section! 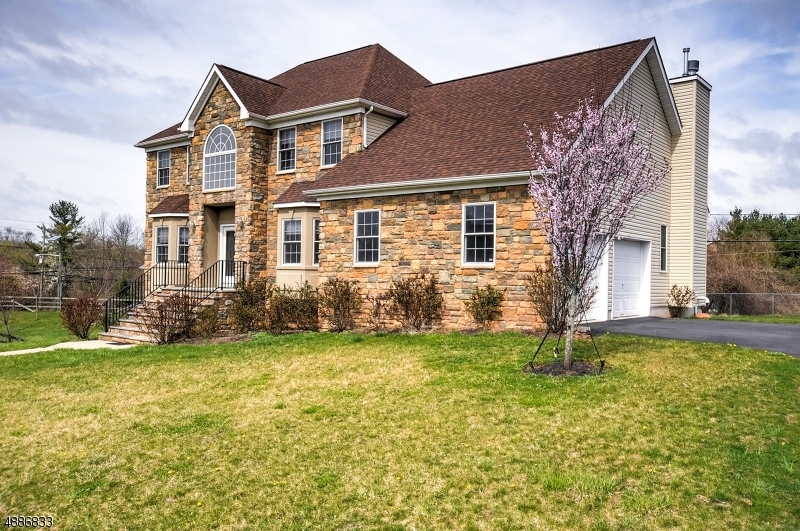 2792 Sq Ft. custom colonial with stone front & vinyl siding, side entry garage. 2 Story tiled entry foyer, 9 ft 1st flr ceilings, Formal LR & DR hardwood floor in DR. Large Eat in kitchen with Maple cabinets, ceramic tile floor, Granite counters, Stainless steel Range, dishwasher & Refrig. Family room with vaulted ceiling & Gas frplc. 1st floor den or 5th BR, full bath on first floor. Master bedroom with huge walk-in closet. Master bath with double vanity, soaking tub with ceramic surround and ceramic tiled shower. 3 Bedrooms with full main bath with double vanity. Pull down stairs to access attic storage. Full basement & Security system. Cul-de-sac location! Truly a pleasure to see! Bright and airy through-out!